I hope y'all have a great day with family and friends! Happy Friday, Friends! I think it's safe to say that we're all pretty excited for this [long] weekend. To me, Memorial Day Weekend always has a way of setting your mind in summer mode, and I'm totally okay with that! 😊 We're off for a little getaway on Sunday. I'm so excited! What are y'all planing for MDW? Today I'm styling these fun fringe shorts. I am always looking for pairs of cute shorts. This pair hit the jackpot with that 😁 I do recommend going up one size, though. They run small! They are currently 20% off, making them only $43. You would think that they could be priced for $100, because the quality is amazing. They remind me of a Tory Burch style. Actually, the entire ASOS website is 20% off through Tuesday with the code HISUMMER. I find so many cute things to style on ASOS. I hope y'all have a great Friday kicking off MDW! Thanks of reading! Happy Thursday, Friends! 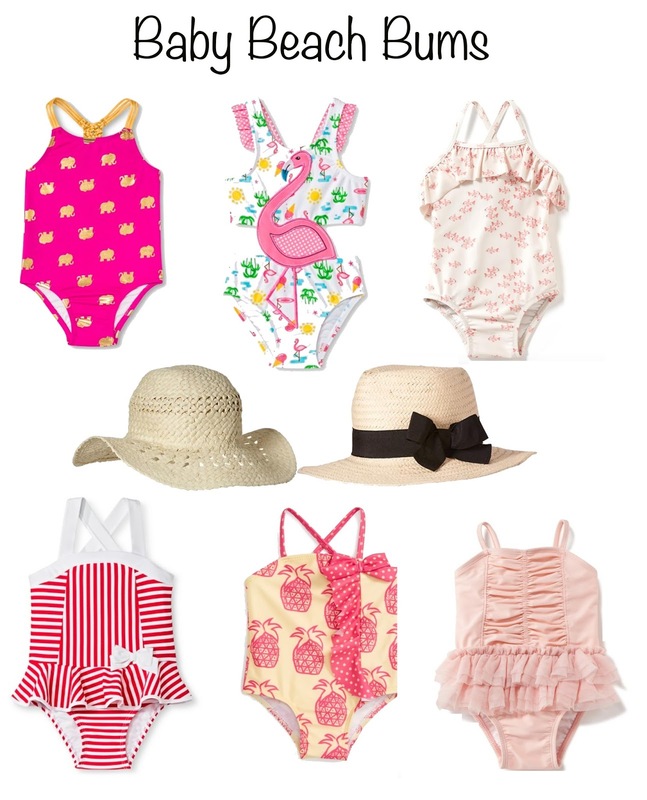 If you're headed to the beach or the pool, or maybe you're just ready for summer fun, then today's post is for you. I never thought I'd say this, but I have completely resorted to one-piece swim suits. There are so many cute ones out there that they all win, in my book. Whether it's a fun print, a cute strappy back, or a pretty detail in the front, I just haven't been able to resist some of these. Cute cover-ups definitely aren't difficult to find these days. Seriously, I love how pretty and effortless the ones above are. My ideal cover-up would be a lace see-through one that still "covers up" but doesn't hide the pretty details of your swimsuit underneath. 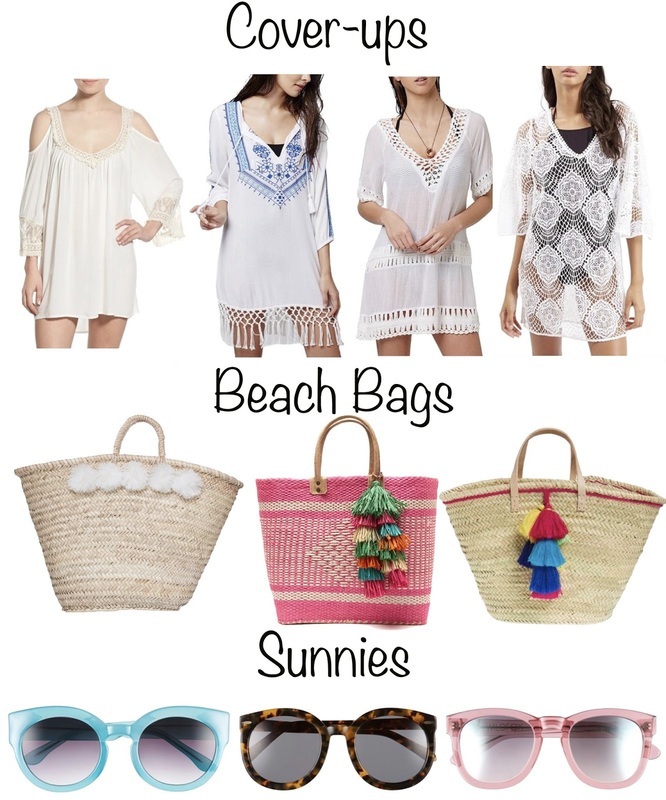 Are beach bags not the cutest?! I got the middle one in navy last year and have enjoyed it so much again this year. The first one with the little pom-poms is next on my list! 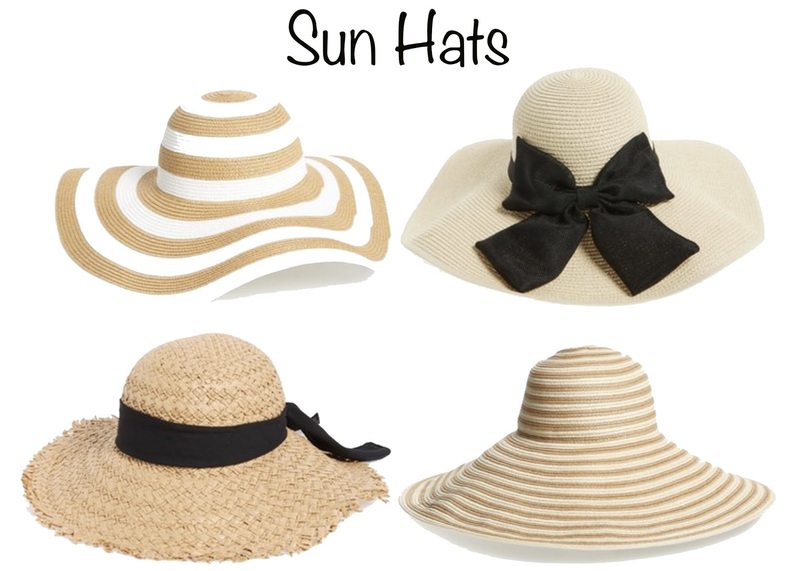 It's always a good idea to have a few wide-brim sun hats, as well. I just purchased the striped one and love it! And don't get me started on the little teeny tiny swimsuits for the baby beach bums 😊 How adorable is that little pineapple printed one?! I also have to point one why I love the white + red stripes one. It actually snaps at the bottom like a onesie would. That was genius! I can't tell you how nice it is have that capability if you're trying to change a swim diaper underneath a wet bathing suit. But one thing I absolutely can't resist is teeny tiny swimsuits. Also, Nordstrom is having their half yearly sale! It's too good to miss! 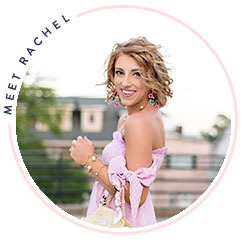 So many of the items you've probably been eyeing (I know I have!) are marked way down! 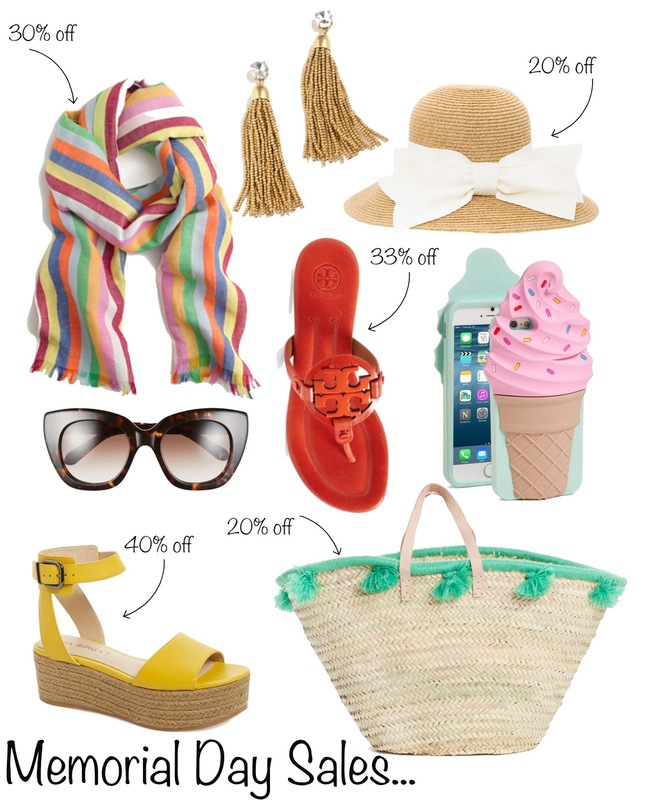 See a few of my favorite picks in the product widget below. Happy Tuesday, Friends! I don't know about y'all, but I find myself talking to the Lord all throughout the day. I have said it before, and I will say it over and over again, I believe in the power of prayer! I love prayer time, and when I get my quiet time in the morning, that is what I always begin with. But what about all throughout the day? It may not be what is considered as "quiet time" (because let's be real, it is difficult to catch quiet time throughout the day), but I not only find it important but I also find it such a comfort to know that I can talk to God at any time of any day. But what happens when I feel like I can't find the words to say? When this happens, I simply give thanks. The Bible tells us to give thanks in all circumstances. And goodness, is there so much to give thanks for! I always begin by saying "Lord, thank you..." and everything else that I'm trying to say just falls into place. Prayer is our connection to God, and what a powerful connection it is. It allows us to feel a deeper awareness of his presence. Sometimes I feel as if I have so much to pray for that I become overwhelmed and can't find the words to say. To me, this is the worst way to feel when connecting with the Lord, and this is exactly how the Lord does not want us to feel! So many times, I just have to sit back and remind myself that the Lord knows everything going on in my life. And I also have way too many things to give thanks for that I shouldn't become so overwhelmed in my prayer time. So, connect with God often through prayer and do not let all the things in life overwhelm you in your prayer time with God. Simply give thanks when you can't find the words to say. I can already tell you a few things that I know you can be thankful for. You have a Heavenly Father that not only loves you more than you could ever imagine, but he also gave his only Son to die for your sins so that you can have everlasting life. What amazing promises we have through Jesus. And there are so many things to give thanks for. "Lord, thank you for your unfailing love that is fresh as the morning and sure as the sunrise." Y'all how comforting is that?! A love that is fresh as the morning as sure as the sunrise. Just as we can count on the sun to rise each morning, we can also count on the Lord's love for us in the same way. I like to put this invitation out there every once and awhile. As always, if y'all ever want to chat about anything with me, are in need of a verse to cling to, or ever have a prayer request you'd like for me to join in on praying for, please do not hesitate to shoot me an email! Happy Friday, Friends! Today I'm styling this drawstring top that will for sure be a go-to for me all summer. It's lightweight and so comfortable! It looks so cute paired with shorts as well. It is on sale for $39 through this weekend and some in five colors! I'm wearing the caribbean pink color, but I want it in white and the pale plum blossom color as well. The gold buttons add the perfect touch to it, making it easy to accessorize with gold accessories. Also, if you're a gold girl, you need these white + gold wedges. They will go with everything! 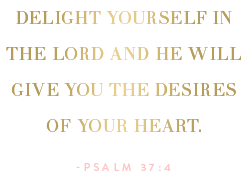 They also come in a blush + rose gold combination that I love.